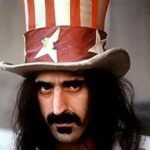 Frank Zappa was an American composer, singer, multi-instrumentalist, producer, songwriter, musician, as well as sound and film director. 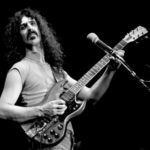 He released more than 60 studio albums with his group The Mothers of Invention as well as solo albums. 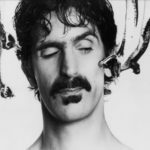 Zappa’s several albums had commercial success, particularly in Europe. 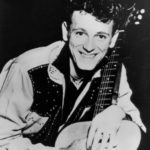 He was posthumously inducted into the Rock and Roll Hall of Fame in 1995, and his career in 1997 received Grammy Lifetime Achievement Award. 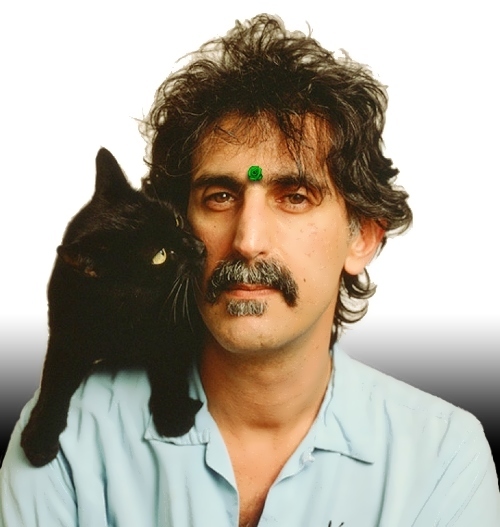 Frank Vincent Zappa was born on December 21, 1940 in Baltimore (Maryland). In his teens he fell in love with rhythm and blues, as well as the works of avant-garde artist Edgar Varèse. 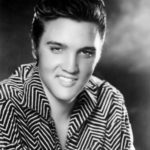 While studying in high school he began to compose symphonies and played drums in rhythm and blues band. 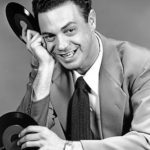 At the same time his parents bought him a phonograph that helped to assemble a large collection of recordings, which he kept until his death. 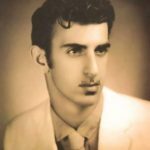 In 1956, the Zappa family moved to Lancaster. At the age of 15 Frank called Varèse, however he was in Europe at that time. 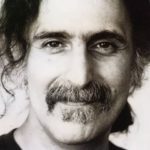 The boy talked to the composer’s wife and later Varèse wrote a letter to Zappa, in which he spoke about his work on the play Déserts and invited Frank to visit his concert in New York. The meeting never took place (Varèse died in 1965), but Zappa kept his letter until the end of his life. At Antelope Valley High School Zappa met Don Vliet (who later became known under the stage name Captain Beefheart). Zappa and Vliet became close friends. 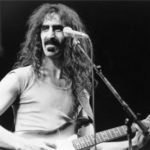 Around the same time, Zappa started playing the drums in a local band called The Blackouts. 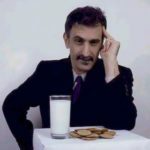 James Sherwood, who later became a member of the band The Mothers of Invention, also played there. 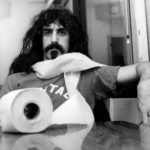 Zappa left home in 1959 and moved to a small apartment in the Los Angeles area Eco Park. 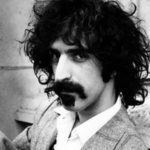 In 1965 Zappa became a member of The Mothers of Invention. His debut album Freak Out! in 1966 was a mix of rock ‘n’ roll songs with various improvisations and studio sound effects. 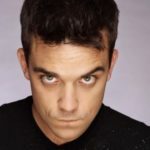 The satirical lyrics of his songs sharply criticized the general education and religion, at the same time protecting the freedom of speech. 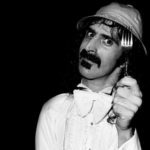 Zappa with the orchestra recorded the material for his solo album Lumpy Gravy, released by Capitol Records in 1967. 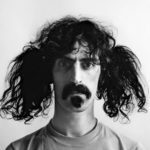 After The Mothers of Invention disbanded in 1969, Zappa released his most famous solo album – Hot Rats. In 1970, Zappa formed new The Mothers. In December 1971, The Mothers went to Switzerland to give a few concerts in the Montreux Casino. During one of the performance there was a fire and band’s equipment was destroyed. A week after the fire, the band performed at London’s Rainbow. During the encore, one of the fans pushed Zappa off the stage. Frank had serious injuries and had to use a wheelchair for six months. In 1975, Zappa released the album Bongo Fury, composed of live recordings from the tour. 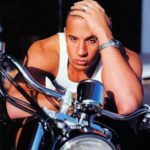 In addition to musical activities he also produced several feature films. 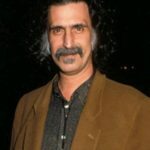 On December 21, 1979 Zappa’s film Baby Snakes was premiered in New York. 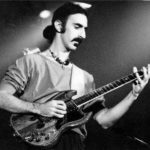 In 1981 Zappa also created three instrumental albums: Shut Up ‘N Play Yer Guitar, Shut Up’ N Play Yer Guitar Some More, and The Return of the Son of Shut Up ‘N Play Yer Guitar. 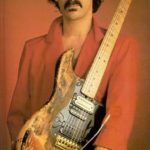 In May 1982, Zappa released the album Ship Arriving Too Late to Save a Drowning Witch. The song Valley Girl was the biggest selling single ever, was nominated for a Grammy Award and reached the 32 position on the Billboard chart. 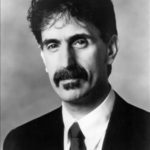 In early 1990, Zappa visited Czechoslovakia at the request of President Václav Havel as a consultant on matters of trade, culture and tourism. 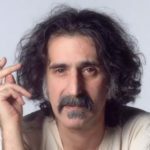 In 1991, Zappa was chosen as one of four major composers of the era at the Frankfurt Music Festival in 1992. 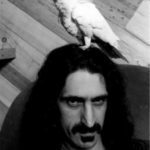 Zappa was married twice. 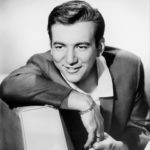 His marriage with Catherine Jay Sherman lasted from 1960 to 1964. In 1967 he married Adelaide Gail Sloatmen and they lived together until his death in 1993. 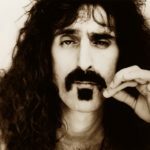 Zappa had four children: Moon, Dweezil Zappa, Ahmet Zappa and Diva. The widow Gail Zappa is a manager of Zappa Family Trust.